Private 25 sq. ft. indoor suite with home-like atmosphere. Private 40 sq. ft. covered and illuminated outside terrace. Climate controlled year around with heat and central air. Four large fenced in play yards for community or individual play time. No chain fence allowed! Inside suites are private and have a home like atmosphere. 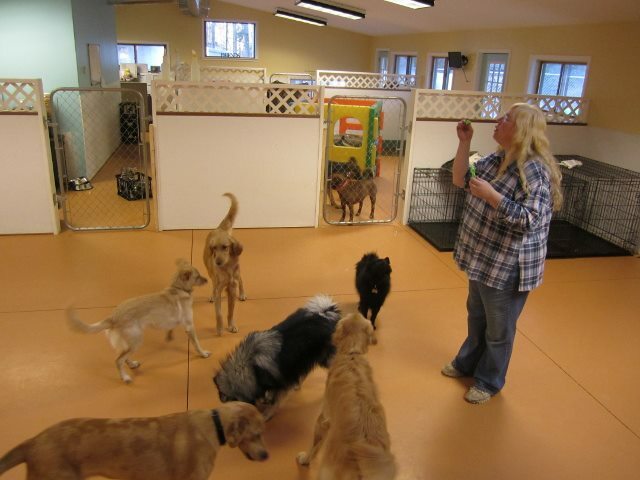 The facility is heated and air conditioned. 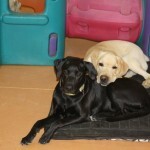 Raised dog beds, fleece beds, and even carpeting are available for your dog’s pleasure and comfort. Soothing music is played at night and at quiet times. New! Zen Room: For the fur friend who needs a quieter environment with a little more human interaction. 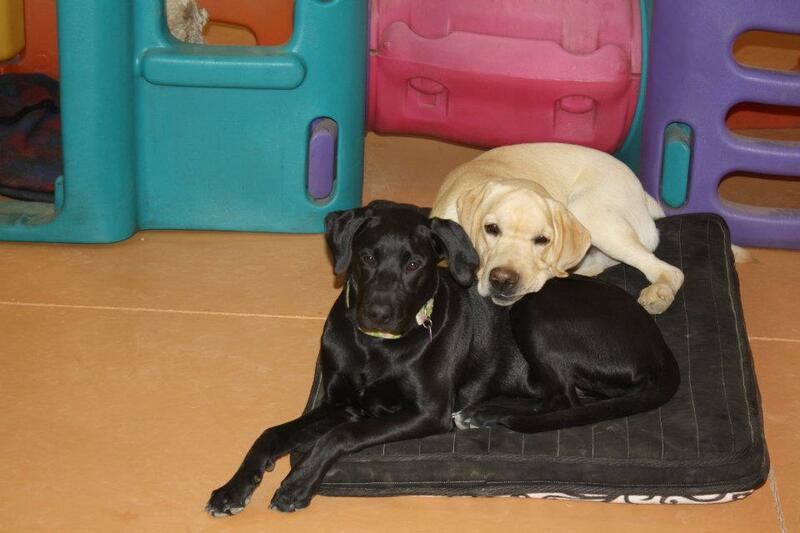 Four-legged friends and family can stay together! Dogs from the same family can room together if you desire, and with written consent for non-family members your pet can room with a friend. 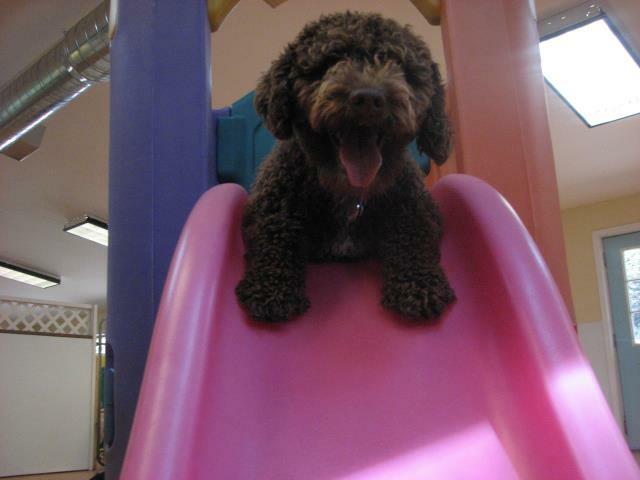 From 9-11 a.m. and 6:30-7:30 p.m., your pet has an opportunity to run and romp with doggie friends in our large, fenced play yard. This is only for dogs who enjoy other dogs. 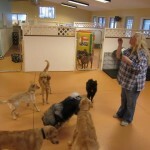 Dogs are evaluated for temperament and are safely introduced to new friends. 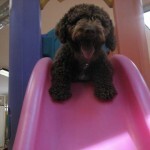 If your dog prefers to play with humans or play alone, there are exercise options available. See the a-la-carte services.